The first frost of the autumn made this morning’s walk really magical; cold days can be just perfect for getting outdoors. For lots of ideas for things to do in rain, wind, ice and snow look out for Going Wild’s “Wild Weather Book”. Beaches are not just for hot, calm sunny days; Winterton beach today was wild, windy, with sunshine, towering clouds, pounding waves and lots of nosy seals – wonderful! Enjoying autumn in Highland Perthshire; my half hour of wild time this morning included walking in the rain kicking bright yellow leaves as the river Lyon rushed past, and spotting a red squirrel dashing up a tree. You never know what surprises might be in store when you escape outdoors! Are you connected to nature? We at Going Wild are often asked what evidence there is for children becoming increasingly disconnected from nature and green spaces. A recent study from the RSPB is the latest project to find that large numbers of children in Britain are missing out on the natural world. The three-year project found that only 21% of children aged 8-12 were “connected to nature”. For more information see http://ow.ly/25pOmn. Look what has just been spotted in Seoul, South Korea! A unique opportunity for you and your family to camp out over night at Oxford University’s famous research woodland. Home to an amazing collection of wildlife this is your chance to sleepout in their home. The woods are normally only open to those with permits and we are delighted to invite you to join us for your most memorable night of the school holidays! · An evening badger watch and night time walk with bat detectors. We will be joined by experts from the university who will share with us the insights of these most studied badgers and a chance to peek into the lives of the bats. · A campfire will give us all the opportunity to share our wildlife stories and of course toast marshmallows! Please note NO DOGS are allowed at this event. Booking information: Through the Midlands Regional Office , Lucy Brown Tel: 01295 676443 bwsowytham@rspb.org.uk orlucy.brown@rspb.org.uk Participants will be asked to bring their own tea/coffee, mugs, plates and cutlery. Hot water and milk will be provided. Participants will need to bring their own camping equipment (tent, sleeping bag, pegs, mallet, torch, sleeping mat, warm clothes, waterproofs) along with tea/coffee, mugs, plates and cutlery. Water (hot & cold) and milk will be provided for drinks. Please do not bring camping stoves. We will also be offering the opportunity to learn bushcraft skills with www.wildernesspioneers.co.uk. You will be shown how to pitch tarps in the bushcraft area for your overnight stay. There will be a fire-making demo on Sunday morning. Tarps will be provided and you will join the main group for the evening meal. This activity has limited space so please request your spaces when you make your booking. If you want to learn a little more about Wytham woods watch The Laboratory With Leaves video on Youtube. Going Wild on the web! 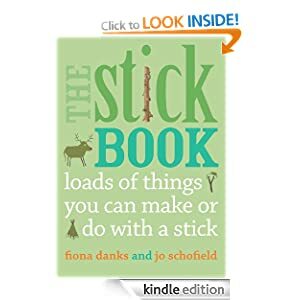 Another thing to do with a stick – using it as a drawing stick on a snowy walk! Have you been enjoying the snow this weekend? Much of the UK has been blanketed in snow this weekend and many people have not wanted to travel very far. But this is a great opportunity to wrap up warm, get outside and have fun. If you have warm waterproof gloves snow is great fun for modelling with; don’t stick to snowmen, see what else you can make, like this miniature snow cottage. We would love to see pictures of any buildings, animals or other sculptures made of snow.